The situation for refugees fleeing war and seeking sanctuary on the islands in the south of Greece are as bad as ever. Most of the camps on these islands, just off the Turkish coast, have long exceeded their capacity, living conditions are dangerously poor, and food rations are so inferior that food-borne illness is somewhat regular, malnutrition common. Relatively few NGOs are operating in these locations. Those that do often face substantial opposition. Lifting Hands International has been grateful to form partnerships with local, grassroots NGOs providing relief to the refugees in Southern Greece. 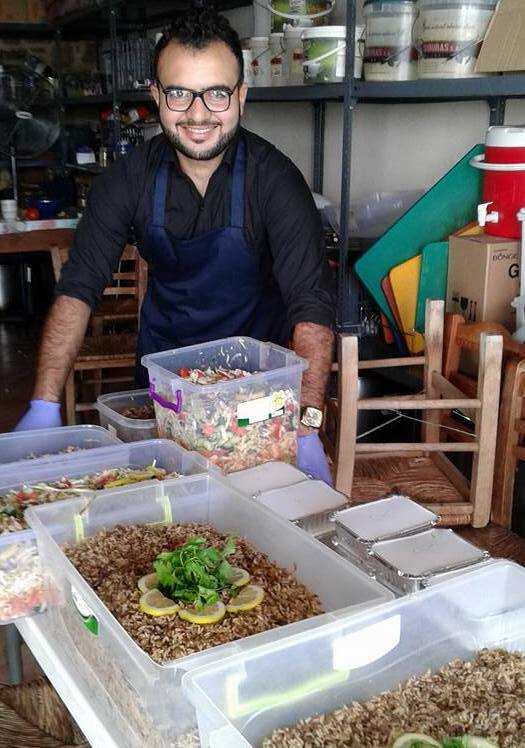 One such organization is the Chios People's Kitchen, which is run by a local good samaritan and staffed by refugee chefs who work to provide hundreds of warm, nutritious, vegan meals to vulnerable refugee populations on the island of Chios (e.g. orphans, single women, unaccompanied minors,...) every day. They also regularly distribute thousands more meals-worth of food aid in bulk to the rest of the refugees on the island, along with donated clothing and bedding.